Using a vacuum press is the most efficient method of veneering flat and curved panels and making bent laminations, which add decorative options to fine woodwork that can’t otherwise be made using hardwood. Even the smallest of shops can produce high-design wood pieces with the vacuum press because its components can be disassembled and stored in a small space. 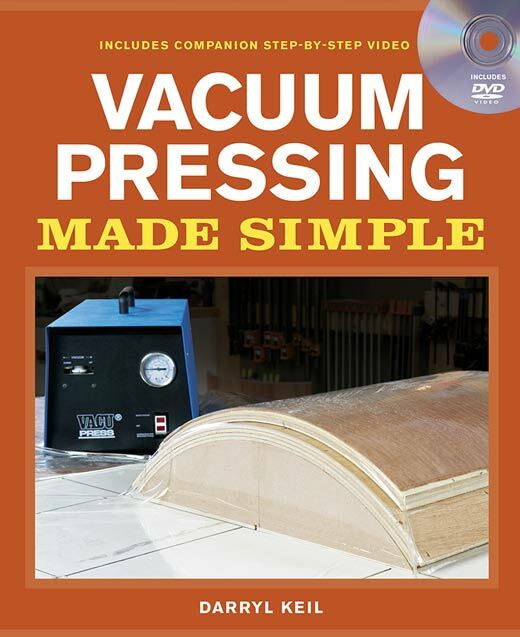 In this step-by-step book and DVD, Darryl Keil explains and demonstrates how the vacuum press works; how to use it for veneering, wood bending and clamping; how to troubleshoot problems with the press; and how to maintain the equipment for effective, long-term use. Total running time: 32 min.